Traditional networks are characterized by wasting considerable amount of energy that could be reduced drastically. The challenge of energy saving should be managed efficiently, where the mobility of users and services are nominated to play a significant role as well as the use of the Software Defined Networking (SDN) paradigm. Besides the network management supported by the SDN paradigm, we highlight the management of the network infrastructure at run-time, considering aspects like the energy efficiency. 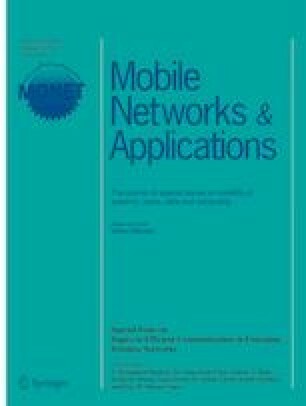 In this paper, we present an energy-aware and policy-based system oriented to the SDN paradigm, which allows managing the network infrastructure dynamically at run-time and on demand through policies. With these policies, any network using our solution will be able to reduce energy consumption by switching on/off its resources when they are inefficient, and creating virtualized network resources like proxies to reduce the network traffic. The experiments conducted demonstrate how the energy consumption is reduced when enforcing the proposed policies, considering aspects such as the number of base stations, their cell sizes, and the number of active devices in a given time, among other. This work has been supported by a Séneca Foundation grant within the Human Resources Researching Training Program 2014, the European Commission Horizon 2020 Programme under grant agreement number H2020-ICT-2014-2/671672 - SELFNET (Framework for Self-Organized Network Management in Virtualized and Software Defined Networks), the Spanish MINECO (project DHARMA, Dynamic Heterogeneous Threats Risk Management and Assessment, with code TIN2014-59023-C2-1-R; and project TecMASAS, Techniques to Improve the Architecture of Servers, Applications and Services, with code TIN2015-66972-C5-3-R), and the European Commission (FEDER/ERDF).